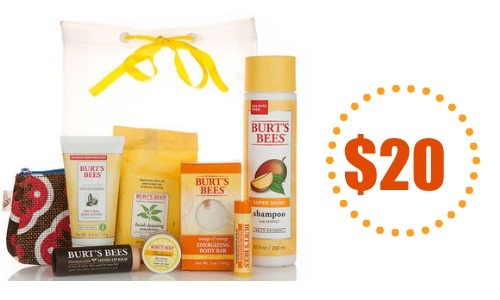 Burt’s Bees is offering their 7-Piece Burt’s Bees Spring Sampler Grab Bag for $20. When you spend $25 or more, you can get $5 off with code THANKU4. The (7) products come in a festive pouch and could be a great way to try all the products, plus it makes a great gift too! Shipping is $5 or FREE on order $49 or more.